Both ginger and black pepper are healthy spices used in most parts of the world. Ginger is bound with anti-inflammatory compounds that battle free radicals and pathogens within your body, whereas black pepper, due to ‘piperine’ presence, promotes good immunity. Ginger and black pepper blended together with tea gives exquisite flavour and aroma. Boil the water in a saucepan and then add tea to the water. Allow the mixture to boil for a few minutes. Next grind the peppercorns in a pepper mill or add the ground pepper to the tea mixture. Also, add the ginger pieces and allow the herbs to cook. Once cooked, strain the tea into a tea cup and add either maple syrup or honey to sweeten. Also, add lemon while stirring. This drink needs to be served hot for best results. You can also add turmeric and cinnamon to it. 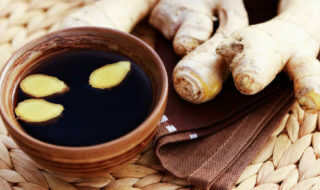 Ginger, when added in a cup of tea, serves great for cold and cough. Ginger is good for reducing pain in the joints as well as help reducing body inflammation. Ginger has certain phenolic compounds that help in digestion. Black pepper is good for facilitating stomach digestion. It is helpful in providing sinusitis and congestion in the nasal area. Black pepper has great antioxidant properties too. Also Read: Detox Drink: Coriander Carrot Juice!